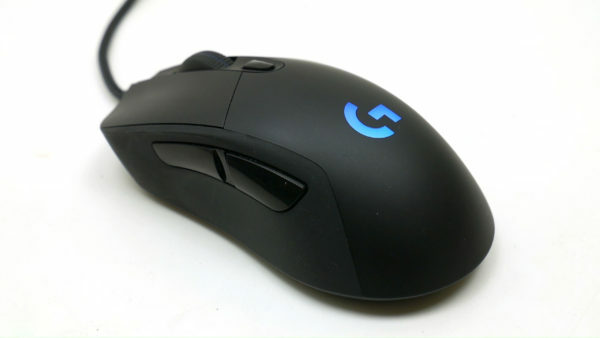 The Logitech G403 is supposed to be the baby of Logitech’s gaming mouse family. The simple. Budget alternative to the feature-packed G502. In reality, though, it’s the better of the two and is actually just about the best pure gaming mouse you can buy. It all starts with a smart and simple design. Matt black on matt black with a gentle flowing shape, it’s the epitome of sleek. and a couple of illuminated sections to add the finishing touch. Admittedly, it’s no Razer Deathadder for sheer style but it’s simple and understated. More importantly, that design combined with thickly rubberised sides, makes for a wonderfully comfortable mouse, whatever grip style you use. Palm, claw or fingertip all work and there’s room for both a little and a ring finger on the right side. In feel it’s much like the Deathadder but with a narrower back end that makes it more suited to claw and fingertip grip use. The back of the Deathadder I find limits my range of motion with those grip styles. Complementing the shape perfectly is the simple selection of buttons and their layout. Left and right and back and forward are all easily accessible from a variety of grips while the DPI switch is great. Because it’s just one button, you don’t have to worry about accidentally hitting the wrong one, as with two button layouts. I do still like having two buttons when at the front of the mouse but when behind the scroll wheel I find them impractical for gaming. Here you can assign more than two DPI settings for the button to cycle through but I find it works best just toggling between two. As for the scroll wheel, it’s again a simple affair with no tilt or freewheeling option. Instead it’s nice and lightweight and with a grippy rubber finish that’s just perfect for accurate weapon switching. And that’s kind of it. For extra features the only thing you get is a rudimentary weights system consisting of one 10g weight. But that’s precisely what makes this mouse so good. As well as being comfortable and with a great button layout, that lack of features makes it light. It weighs just 90g, compared to 127g for the G502. A final flourish is that you get a surprisingly thick braided 213cm USB cable that’s nice and supple and comes out the box totally free of kinks so doesn’t concertina up and knock into things like some cables do. Even Logitech’s software is perfectly decent. You miss out on more granular settings such as lift height but DPI and report rate are present and you can assign the buttons however you wish. The mouse can also be tuned to the surface you’re using, though I found it worked perfectly well in its default mode. Which is all thanks to the excellent Pixart PMW3366 optical sensor that is the heart of this mouse. It’s about as cutting edge as it gets, delivering up to 12000DPI and able to cope with up to 40G of acceleration and 300inches per second movement speed. I found it to be unsurpassed for FPS gaming. All of which means this is quite simply my favourite mouse that you can buy right now. Comfortable, easy to use and with flawless performance. So should you buy one, right? Well, maybe. You see, while it’s pitched as a relatively budget, simple alternative to the G502, the G403 is currently selling for more than its sibling, and while the similarly basic Deathadder Elite is priced at the same level, it looks and feels like a more premium product. 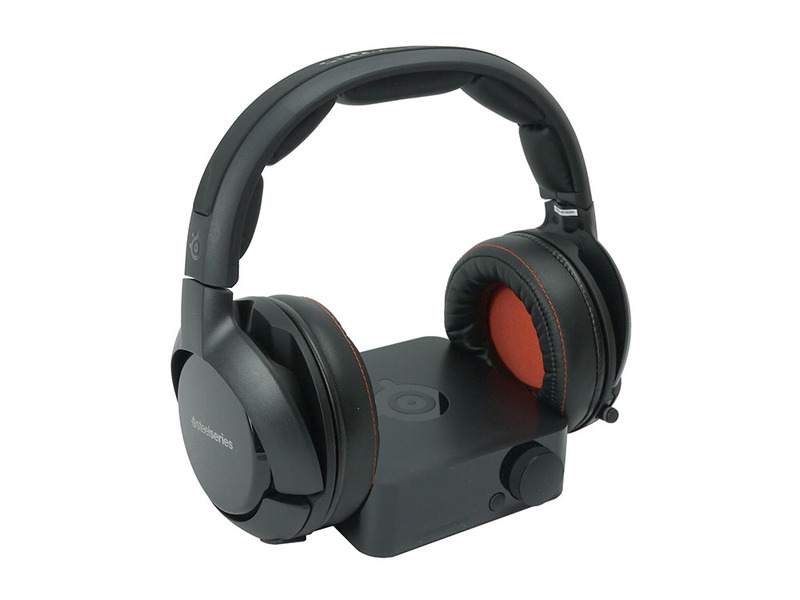 The G403 feels like it should cost closer to £40. So in conclusion. Great mouse, but maybe wait until it’s priced at a more sensible level.